Get the training needed to help land your next job. Goodwill Industries of Central Florida offers Opens PDF in new windowlife-changing services to those in need. In 2018, we provided more than 49,863 people with job training—helping them address barriers such as disabilities, homelessness and lack of skills so they can enter or re-enter the workforce. These services helped place over 10,768 people in jobs last year. For more information on any of our mission services, please contact the Goodwill Vocational and Community Service Department at (407) 235-1500. Job Connection Centers – Opens PDF in new windowJob Connection Centers provide assistance with applying and interviewing for jobs, including résumé writing, computer training and career counseling. Job Works 101 – This is an interactive seminar to learn about job search plans, networking, interviews, employment success, and more. Please call your local Job Connection Center for the next available session. Vocational Evaluation – This evaluation reviews participants’ strengths and work aptitude and matching them to suitable jobs. Goodworks Program & Job Connections – This program offers resources to help inmates find jobs, including computer labs, job leads, resource libraries, interview prep and vocational assessment. 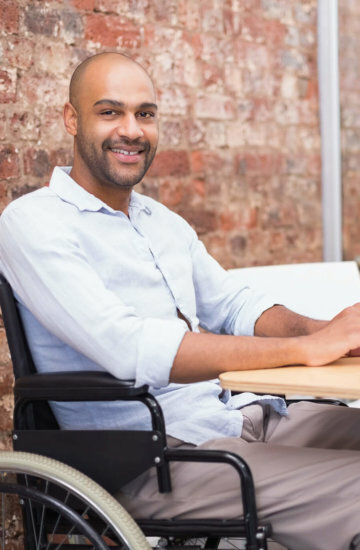 Direct Placement Services – Our direct-placement services include career counseling, training, job matching, coaching and follow-up services for people with disabilities. Employee Development Services – These services include temporary work, goal-oriented counseling and recognition of participants’ milestones. Computer Skills Training – The Opens PDF in new windowComputer Skills Training program assists participants with group-based instruction in a variety of topics in fundamental computer skills such as Introduction to Computers and Microsoft Word® to help participants successfully compete in today’s job market. ESOL Classes – Our English for Speakers of Other Languages classes focus on proper language skills and grammar for the workplace. 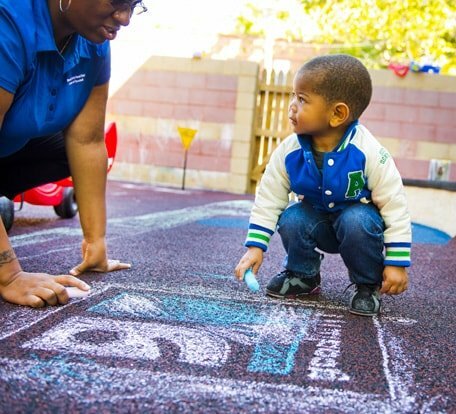 Neighborhood Centers for Families – The Opens PDF in new windowNeighborhood Centers for Families offer employability skills training, resume development, career planning, job development, and various referrals. On-the-Job Training for Individuals with a Disability – This program enables individuals with a disability to build work experience with hands-on job training, to get paid training on an actual job, to get résumé-building experience, to receive individualized training and support and to provide opportunities that may lead to competitive employment. Veterans Services – Our veterans services help return our veterans to the workforce. Goodwill offers comprehensive training and services to assist military veterans with disabling conditions, homelessness, or other special needs—helping them return to the workforce and become self-sufficient. Discovery – Discovery is a person-centered planning process for supported and customized employment. It provides an inclusive team effort; highlights an individual’s interests, skills, abilities and preferred environments; and determines an individual’s capacity and strengths. 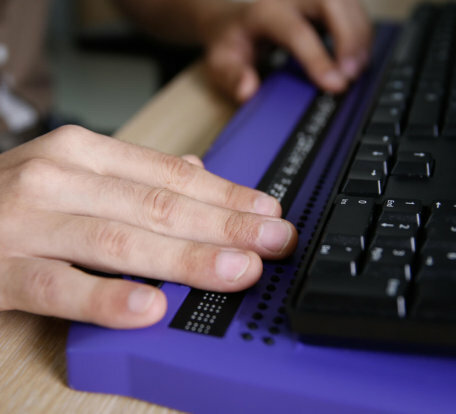 Supported Employment Services – These services provide work for individuals with intellectual or physical disabilities. They include individualized job search assistance, customized employment, competitive employment in an integrated environment, job coaching and identification of natural supports, and long-term follow-up. Specialized Job Placement Services – Our specialized job placement services help individuals find the best community employment opportunities possible. They include career counseling, résumé development and job search assistance, job analysis and matching, short-term job coaching, and long-term follow-up. GoodSource Staffing Services – These services offer employment and skills for stability. Goodwill’s GoodSource Temporary Staffing Services strives to help people experiencing homelessness connect with jobs in Central Florida. Goodwill Industries of Central Florida Program Brochure – Each year, thousands of Central Floridians turn to Goodwill for Opens PDF in new windowlife-changing services and access to resources that help them succeed. All of this comes at no cost to them – thanks to your generous donations. Goodwill provided more than 49,863 Central Floridians with employment training and 10,768 with placement services in 2018. And we're just getting started. Goodwill’s program, “Each One, Help One,” is a partnership with the City of Life Foundation and Community Based Care of Central Florida. It is designed to provide employment services to youth ages 18 to 21 who are in Extended Foster Care in Orange, Seminole and Osceola counties. Project COMPASS – Project COMPASS helps non-violent offenders ages 14 through 18 develop solid study habits and complete a curriculum program. Work Activity Center – The work activity center provides training in pre-vocational skills for 19- to 22-year-old students with disabilities. Money $ense – Opens PDF in new windowMoney $ense is a series of dynamic seminars that help participants take ownership of their financial futures. The course covers banking, credit, debt, and spending and savings plans. Money Smart – Opens PDF in new windowMoney Smart is a series of personal finance seminars held at our Job Connection Centers, this course covers topics such as consumer fraud, homeownership, starting a business and saving for retirement.